Home / Greece / #NoBorders: Enough is Enough! Come to #Zurich! 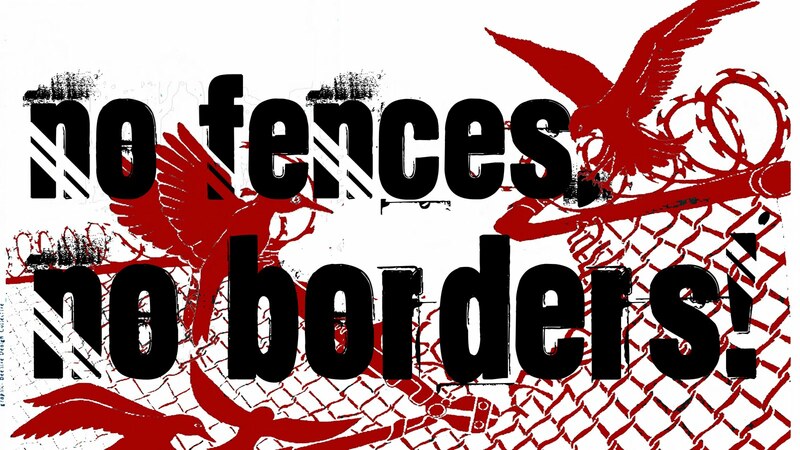 #NoBorders: Enough is Enough! Come to #Zurich! Refugees who are stuck and suffering because of border closures in Europe are losing hope. Earlier this week a refugee was frozen to death at the Bulgarian border. Its time to intensify the struggle for the freedom of movement. Enough is enough! 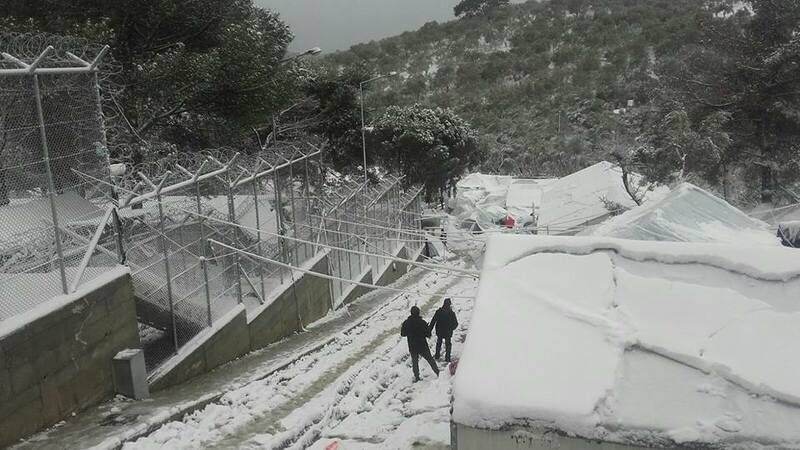 Image: Moria refugee detention center at Lesvos, Greece yesterday. Written by Riot Turtle for Enough is Enough. On Thursday Greek migration minister Greek Migration Policy Minister Yiannis Mouzalas told journalists that :”there are no more refugees or migrants living in the cold.” Yesterday pictures of refugee detention camps in Greece came out. 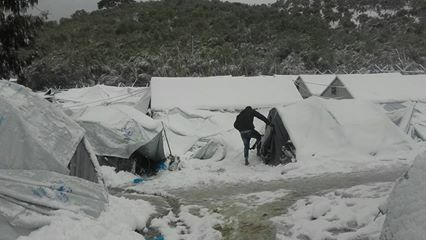 The tents were covered by snow, and proved Yianis Mouzales was telling reporters blunt lies on Thursday. EU and other borders were closed last year, leaving many refugees stuck in countries like Syria, Turkey, Greece, Bulgaria, Serbia and Hungary. In some of these countries, some of the refugees are being detained under appalling conditions. While many people in countries like Serbia and Greece prepare for Orthodox Christmas, others in these countries are bedding down in freezing cold weather hoping to survive. Temperatures in Hungary and Serbia have dropped to minus 20 degrees centigrade. Yet nearly 2,000 asylum refugees and migrants are sleeping rough in Belgrade, in front of Hungary’s “transit zones” on the Serbian border, or inside a tattered government-run tent camp in Hungary without enough aid. In Greece the situation for refugees isn’t much better, with minus 5 degrees centigrade in the Softex camp in Thessaloniki yesterday. While people like Mike and Bego risk their butts, other activists also took a lot of risks as they did actions along European borders. But many people are also providing humanitarian aid to refugees. Image: No borders action in Croatia in 2016. In a series of Tweets, Twitter account of Refugee Support (@refugee_supp) wrote yesterday: “People are freezing to death in EU detention camps. Living in tents with no real heating enduring snow storms. But the problem isn’t only that conditions in detention camps, military camps, prisons are terrifying, it is just as well that people are detained in general! 1000s of refugees & migrants are stuck in detention, police cells & prisons just for having ‘wrong’ passport. This is institutional racism. Of course it makes sense to raise awareness to conditions & call for heating etc. But this is will never be enough – don’t forget that. Don’t lower your demands / goals just because the conditions get even worse. It’s a damn trap! We demand freedom of movement for all! No Lager, no camp, no hot spot, no detention! This series of Tweets are an important reminder that providing aid is important but the real struggle must be for the freedom of movement for all people and against borders. Reece Jones, Associate Professor of Geography at the University of Hawai‘i and the author of Violent Borders: Refugees and the Right to Move said in an interview that “The root cause of border deaths are restrictive migration policies”. More than 30.000 people have now died at European borders and the number of deaths are continuing to grow. 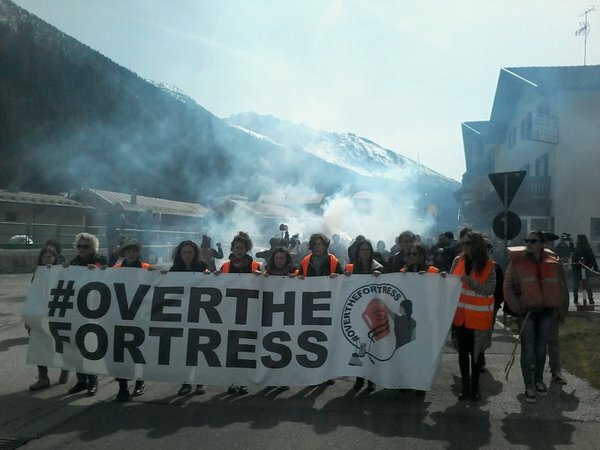 Image: Over the Fortress demonstration against border closures at the Italian/Austrian border (Brenner) in 2016. In 2016 actions took place at several borders in Europe but these actions need to be intensified. Another part of the struggle for the freedom of movement is the fight against the growing number of deportations. The resistance against deportations is growing but needs to grow more. Image: Demonstration with 1000 people against deportations in December 2016 in Dresden, Germany. Again and again there are demonstrations against deportations across Europe. Sometimes these demonstrations take place at airports from where people get deported. But there are also groups trying to block buses that are transporting people who will be deported. Others are discussing to target companies who are making money with deportations and/or border surveillance. The struggle for the freedom of movement has many faces and is taking place in a Europe where racist parties and opinions are growing. We need to work on our strategy, tactics and our independent media work in order to be more succesful. Come to Zurich!